Food entrepreneur and former White House chef Sam Kass will help dedicate FoodShed, the newly reimagined café that Karen Karp & Partners developed and implemented for the Children’s Discovery Museum of San Jose. Kass will discuss the influence of food marketing and sustainable agriculture on a global scale, his impressions of the impact of FoodShed, and host an audience Q & A at the museum on Thursday, March 3, 2016, from 2 to 4pm. Karen Karp, founder and president of Karen Karp & Partners, will join Kass to discuss the project and share key findings from the case study, “Food as Discovery: Cultivating Culinary Experience for Mission Alignment,” written to provide other cultural institutions with a blueprint for change. 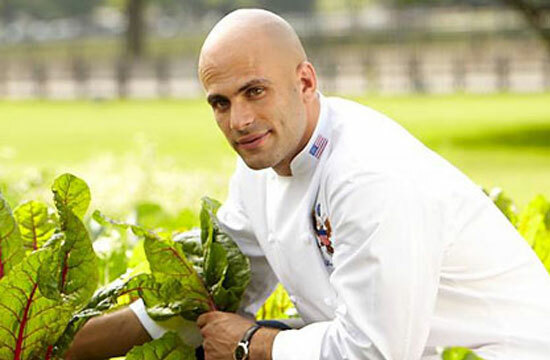 As the former White House and personal chef to the Obama family, senior policy advisor for nutrition, and executive director of First Lady Michelle Obama’s “Let’s Move!” campaign, Sam Kass brings depth and breadth to the topic of health and food. As a key partner to the First Lady, Chef Kass cultivated the first vegetable garden at the White House since the Roosevelt administration and enacted the first major changes to the school nutrition guidelines in 15 years. Kass knows firsthand about the importance of engaging kids in healthy living. “I was fascinated to learn about the museum’s transformative café, because they are taking advantage of the direct access they have to parents who are making food decisions,” said Kass. “They are uniquely engaging children and parents at the same time with the same message,” added Kass, who garnered the 2015 James Beard Foundation Leadership Award.